BeijingLayoverTour.com is an E-tourism brand operated by Beijing Explore Tours CO., LTD.
Beijing Explore Tours CO., LTD is one of the most professional experienced and reputed Travel Agency & Tour Operator in China. We are located in Beijing which is our advantage beyond other agencies either from China or abroad. It means that you can contact us more convenient and you are dealing with a more professional agency in Beijing tourism. A guide and a driver are quite necessary in your tour trip. A professional guide and experienced driver are a must. All guides provided by BeijingLayoverTour.com are qualified professionals and registered English Speaking Tourist Guides in China relative travel administrative department, who are reassessed annually. Not only can they guide you around every attraction but also lead you deeper into Chinese culture by telling background stories of the tour sites. Regarding to our drivers, they are all licensed and experienced with no traffic accident record. 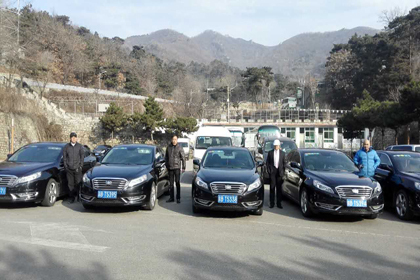 Moreover, both our guides and driver are considerate and responsible. At the airport, you would be met in time, greeted by our fluently English- speaking guide and transferred safely to attraction by our driver. As your tour commences, the driver would drive you to every destination in your itinerary and the guide would accompany you during the whole sightseeing process. Both the guide and driver would be at your service throughout the tour. Finally, our guides and drivers have a great organizing and accommodating ability so they can handle various unexpected events during your tour and assure you of a wonderful tour experience in Beijing. We do not provide an English speaking tour guide drive you for the tour. This would not be allowed in China. If officials found that this kind of behavior, will ruined your tour. As a tourist, you might care about the vehicle provided for your use during the tour. Is it comfortable? Safe? Air-conditioned? Enough space? Clean? The vehicle condition can directly influence your tour quality. 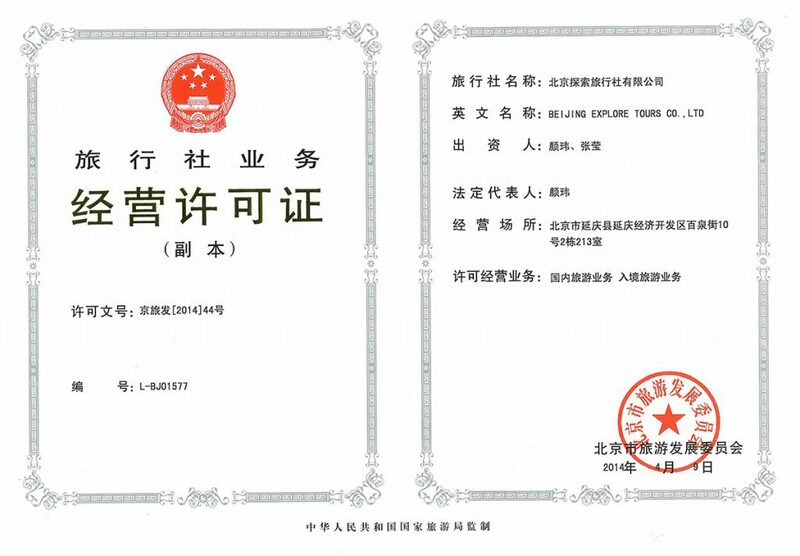 Besides, in China, the vehicles need to be tourism qualification certificate of operating vehicles, not just a tour guide’s personal car. BeijingLayoverTour.com realized that you want to travel in the comfortable way. All of our vehicles are air-conditioned, clean, seated comfortable, uncrowded and safe. And all of our vehicles are tourism qualification certificate of operating vehicles. We are sure that you will be satisfied with our vehicles. To maximize your comfort, we use vehicles with extra space for you and your luggage. Below are listed some of our vehicles for your reference. I arrive in Beijing at 1.05pm and leave again at 00.10, do I have enough time to leave the airport and do a great wall tour? According to your layover time, you will have enough time to visit the Great Wall for sure. Below is the tour timeline, please check. We also sent you an email about the tour details. I land in Beijing at 8:40AM on June 21st, and I am wondering if this is enough time to meet your company that leaves at 9AM from Starbucks. Is it possible to have them wait another 30-40 mins before they leave, so that I can join around 930AM? My departure from Beijing is 4PM, so I do not think that will be a problem to get back in time. I hope I can join you on your tour! According to your arrival time, you can only book the private tour. Since our group tour departure time is 9am. We do not think you can meet our guide in time. Sorry about that! I’d be interested in booking a tour and seeing the great wall of China during my layover. My flight arrives at 1am and leaves at 13:00. It is an international flight and therefore I’d like to be back for 10:00 am latest at the airport. I would be travelling alone. Is there a tour that would accommodate this? 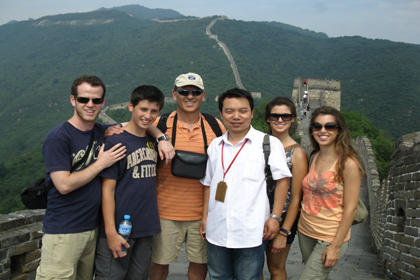 According to your layover time, you will have plenty of time to do the Great Wall tour. We just sent you an email about detailed itinerary, please check it out.